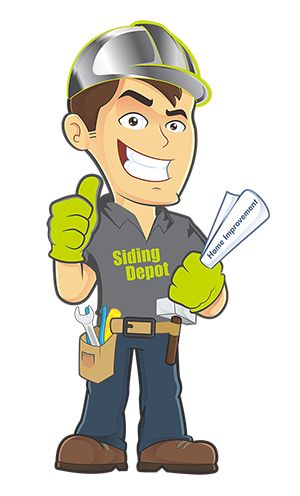 Siding Contractor - Your One Stop Solution! We know you need a contractor you can trust to provide expert installation for the value of your home and for your peace of mind. That’s why we stand by our work with our Satisfaction Guarantee, a promise to you that no money will change hands until you are completely satisfied with your project. 1. WHAT IS YOUR EXPERIENCE WITH SIDING INSTALLATION? Ideally, the company you hire will have a decent amount of experience. You’ll have peace of mind knowing that the company has the experience and knowledge necessary to do the job. It is also important that the crew has adequate experience to ensure that the people in charge know what they’re doing. 2. DO YOU INSTALL JAMES HARDIE SIDING? Every contractor with your best interest in mind will recommend James Hardie Siding. However, not all siding contractors are allowed to install JHS. The creators of this siding products have quality in mind, so they require that all contractors who wish to install their products go through an installation training. Be sure that your contractor is certified to install JHS before asking them to do so. Improper installation will void the warranty. 3. DO YOU USE SUB-CONTRACTORS? After taking on your siding project, some contractors will out source the work to improve efficiencies and cut costs by hiring sub-contractors to do the work, meaning they have no say over the quality of the job performed. It’s best to have a company who uses their own full-time employees to complete the work. That way, you know who you’re dealing with and you don’t have a group of strangers on your property while the work is being completed. 4. WHAT EXPECTATIONS ARE ASSOCIATED WITH PAYMENT? You’ll want to know how payment will be processed. Payments maybe collected during specific stages of the project, and down payment may be required for customized orders . As a general rule, it’s not wise to pay for a project entirely up front. Scams are all too common in the construction world, and you don’t want to take the risk that the company will take your money and won’t deliver the project in a timely manner or even never complete the job. 5. 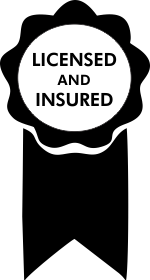 DO YOU OFFER ANY GUARANTEES OR WARRANTIES? The best siding contractors will offer some kind of warranty or guarantee on the work completed. For those who get James Hardie Siding from a certified contractor, there’s always a warranty. Luckily, you probably won’t need the warranty, since the siding is low maintenance, resistant to fading, weather resistant, fire resistant, insect resistant, and very durable. 6. CAN YOU PROVE YOUR RELIABILITY? The absolute best way to know you’re dealing with a good contractor is to ask for references from those who have used them before. 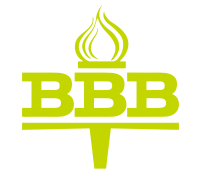 You may also verify through social media and websites such as BBB and Home Advisor to ensure how trustworthy are the references. This will hep you get an accurate picture of the kind of service you are hiring. 7. WHAT’S YOUR PROCEDURE FOR REMOVING WASTE? HOW TO GET EXCELLENT SERVICE? If you’re looking for a siding company that can answer these questions, look no further than Siding Depot LLC. Our team is fully certified in James Hardie Siding, and we only offer the best customer service and quality to each of our customers. For more information about the services we provide, please contact us today!